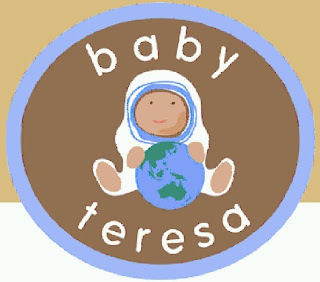 I went to a fabulous product launch last night for Baby Teresa. It's a new company that sells baby onesies (all-in-one suits), but with a twist. 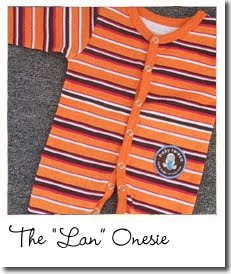 For every onesie sold, another one is donated to a baby in need. The idea is based on the quote by Mother Teresa - "If you can't feed 1,000 people, then feed one." I think it's a great idea, and the outfits are so cute! The first donation of outfits was made last night to a benevolent society in Launceston that helps single mums. And Baby Teresa donated over 100 outfits. But the donations won't always be local - the company plans to donate the outfits to babies in need all over the world! 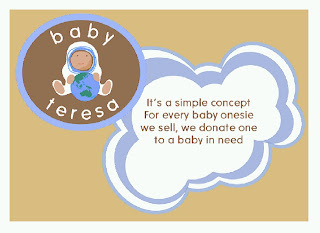 So if, like me, you think this is a fantastic venture, check out the website at http://www.baby-teresa.com/ - it's a Tasmanian company, and you can purchase postage free online. Or if you don't have anyone to buy for at the moment, pass on the website and let's get behind a great Aussie idea!